To figure out how to use shungite for water purification, you should know how shungite water is made and why shungite is used for water purification. By infusing shungite sets in water for a certain period of time using different-size containers. By using shungite water filters. We’ll discuss the advantages and disadvantages, as well as the effect of these two water purification methods later in this article. In the meantime, we’d like to answer the following question, “Why do leading water filter manufacturers use shungite in their tap water filters?” The answer is that shungite is an excellent sorbent. However, after the water passes through the layers of shungite chips, it becomes acidic, with its pH ranging from 3 to 5.5. To ensure that this drinking water is good for your health, you need to condition it (the ideal pH standard for the drinking water is 7.2-7.3)/ To find out why it’s essential to drink water with these pH values, click here. To reduce the acidity of the water after it’s been filtered with the use of shungite, dolomite and glauconite (quartz sand) are used. Passing through dolomite, low pH water partially dissolves the mineral which then enriches the water with calcium, magnesium, and other useful elements. This is how acidic water’s pH is neutralized up to the level of 7 to 7.5. As a result, iron and aluminum hydroxide sediments capture heavy metals and radionuclides. Then, the water passes through layers of sand that detains iron and aluminum hydroxides allowing the water to restore its natural structure. 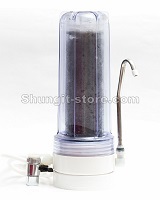 To find out which shungite filter is the best to receive the pure drinking water regulary, click here. Conclusion 2: Using only shungite for purifying your water, you get pure but acidic water (its pH is reduced to 3 to 5.5). Is it healthy to drink water with these pH values? Drinking water with these pH values is recommended only for therapeutic purposes. It’s not recommended to drink this water on the regular basis or use it for cooking (especially for people with high levels of stomach acid). Why? Our blood pH ranges from 7.35 to 7.45. The average blood pH of a healthy human being is 7.42. A person with a higher blood pH or changes in pH of 0.2 may develop a disease or even die. What affects our pH levels? First and foremost, it’s what we eat as well as external factors. People eat different foods and have different lifestyles. Drinking water is the major factor affecting our blood pH and other body fluids. If you drink water with a pH of 2 to 3, you won’t die but your body may become too acidic (acid-base imbalance) producing a negative effect on your health. 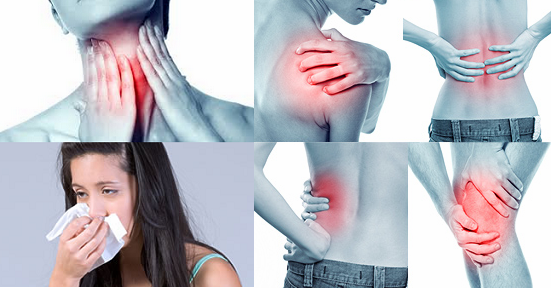 Continuous drinking of water with high acidity means forcing your body to adjust this water to itself. Conclusion 3: to ensure that your pure water is also good for your health, you need to use shungite along with other components. However, to treat certain diseases, shungite water shungite-filtered or shungite-infused – can be used without any additional components. Which illnesses can be treated with shungite water and what’s the right way of using it? Shungite water can be used to treat a number of diseases. It has an antibacterial effect and can help you disinfect surfaces, killing bacteria and getting rid of mold and fungi making it a good tool when it comes to house cleaning. Cleaning toys of your children with it ensures that they do not catch any undesired bacteria or virus. It is effectively used for wounds treatment and also relieves itching and inflammation after insect bites. We recommend washing your vegetables and fruit with shungite water to keep them fresh longer. We don’t recommend drinking this water on a daily basis. It should be rather used for therapeutic purposes. Here is a list of illnesses that can be treated with shungite water. Some of them require specific water acidity levels. You can use a pH meter to measure the pH. 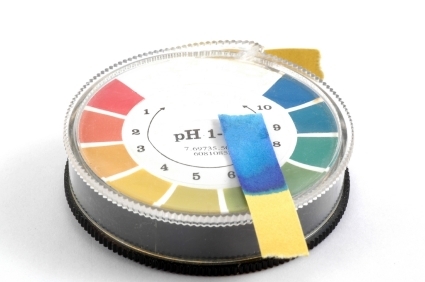 To find out how to use a pH meter, click here. Read our next article to find out what’s better: to infuse shungite chips in water or use a shungite filter.